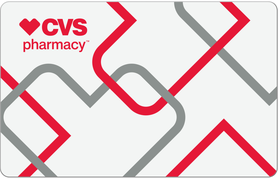 A CVS Gift Card is a great choice for those who are looking for the most convenient place to get prescription medications and health care products. You can also use your $5 CVS Gift Card in choosing from their huge selection of popular beauty and personal care brands. CVS also carries brands you won't find anywhere else. CVS Pharmacy is headquartered in Rhode Island and was originally named Consumer Value Store. It is currently the largest pharmacy chain in the United States by number of locations. 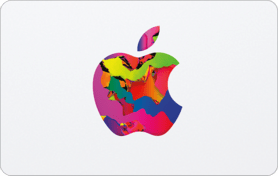 It also ranks the 7th largest US Corporation per Fortune 500. With your CVS Gift Card, you are one step closer to a healthier you. You may redeem your gift card at any CVS/pharmacy location and can even be used toward prescription purchases. Use your $5 CVS Gift Card as cash. 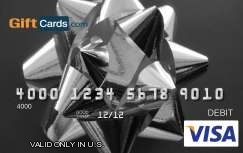 It is also good to note that this card may not be used online, purchase money orders or prepaid cards, or as payment on a credit account. Such a convenient way to purchase your medications and health care needs!